Do you want to learn Farsi language? Are you looking for a shortcut to Farsi fluency? Are you overwhelmed with limitless Farsi learning resources and products available, unsure of which are valuable? First, I’d like to congratulate you on deciding to learn Farsi, this beautiful language. This is probably the biggest step you could take, and if you approach learning Farsi in the right way you’ll love a successful journey to fluency. You’ll broaden your world, be able to communicate with more than 110 million people across the world and connect with rich Persian culture. In this guide, I’ll provide you with a primer for everything you need to get started with Farsi language. I’ve been teaching Farsi language for over a decade now and I’ve worked with hundreds, or should I say thousands, of Farsi learners of all nationalities, from beginners to advanced. In this post, I share my experience with others who want to learn Farsi effectively and in less time. I receive A LOT of emails from Farsi learners around world about how to begin learning Farsi, the best way of learning Farsi, best Farsi learning books and resources, and about how to become fluent in Farsi. Regardless of your reasons to learn Farsi, you can learn the language on your own and at your own speed. In this guide I will walk you through the best ways to learn Farsi, from where to begin and how to approach the language, I’ll provide you with everything you need to know about learning Farsi. First, let me review some common questions about learning Farsi. What is the difference between Farsi and Persian? Is Persian and Farsi the same thing? There are three modern varieties of standard Persian language: Farsi (or Iranian Persian) is spoken in Iran. Dari language (or Afghan Persian) is spoken in Afghanistan. Tajiki language (Tajik Persian) is spoken in Tajikistan and some parts of Uzbekistan. How different are Farsi and Arabic? Farsi language and Arabic language are two completely different languages. While they share the same alphabet (Farsi uses Arabic alphabet plus four more letters), but they are from two language groups. Farsi language is in the Indo-European family while Arabic is in the Afro-Asiatic family. Since these two languages live side by side for thousands of years, they both influence each other. For example, more than 30 percent of words in Farsi originated in Arabic. How difficult is it to learn Farsi? Well, it depends! Farsi is an Indo-European language similar to English, German, French, and etc. And it has a lot of words from Latin, English, French, and Portuguese. Farsi grammar is easier than many other languages. But, something that makes Farsi learning more difficult is its alphabet and script which is very different from English and other western languages. Learning Farsi for those who already learned similar languages like Urdu, Kurdish and Hindi is rather easy. For English speakers, Farsi is among average languages to learn (not so easy and not so hard). How long will it take for me to learn Farsi language? To get to the intermediate level, it usually requires 300 to 600 hours of active study. For fluency, about 1000 hours of study is necessary. Do I need to learn the Farsi Alphabet? No! If you only want to learn how to communicate in Farsi, you don’t need to learn the alphabet. In fact, anyone can learn to speak Farsi language without reading its script. I have had many Farsi students who are able to speak Farsi at the intermediate level, but they are not able to read Farsi. If you want to avoid learning Farsi alphabet, then you need to use transliterate system for writing Farsi words and sentences. I explained it more in this article: Can you learn Farsi language without learning the Farsi alphabet? How much does it cost to learn Farsi? There are countless FREE Farsi learning resources on the internet. Therefore, you don’t need to spend even a penny for learning Farsi. If you prefer to use textbooks, software, or you want to work with a Farsi tutor, then you should spend some money for learning Farsi. I’ll review all of your options in this blog post. If I learn Persian, will it help me with any other language? Persian is part of the Indo-Iranian branch of the Indo-European language family. Therefore, learning some Persian will certainly assist with Arabic, Kurdish, Urdu and Hindi. What is the best way to learn Farsi? My answer is that there is not one single best method for everyone. Remember, no language can be learned overnight, and obviously, there is no magic fix. It takes commitment, motivation, and a hard work and you surely need to maintain a positive approach. How can I learn Farsi Fast? Here are 3 tips for learning Farsi faster. First, just realize that everyone has a different way of learning things. Some people are visual learners. Some people learn by listening, and some by reading. So, first of all, Figure Out Your Learning Style! You need to try different tactics and methods for learning Farsi language to find the method that works for you. The second and most important thing is incredible passion. You must have tremendous emotional power to learn super-fast. Why? Because you must study for 300 to 600 hours (or up to 1000 hours to get to advanced level) and every hour you must be interested and energetic. So, find your real and key motivation for learning Farsi, and then focus on that. The third key to fast learning is to focus on Farsi INPUT. Remember this: Do not waste time studying solely vocabulary or grammar rules. Don’t waste time trying to speak and say anything that comes to your mind. That’s a waste of time. Believe me! In the beginning of your Farsi learning journey, you should spend all of your time either listening or reading. Focusing on these two passive language skills can help you save a lot of time and energy. This is the fastest and most efficient method for speaking Farsi language fluently. Read, read, read! This is the key to learn Farsi fast! Ok! Now, this brings us to the next question. What are the best resources for learning Farsi? Unlike other popular languages, the resources for learning Farsi are limited. During last 10 years, I have prepared and published more than 60 Farsi learning books. Following is the list of the best Farsi learning resources I’ve prepared. There are two types of books. If your ultimate goal is to be fluent in Farsi, then you need to learn the Farsi alphabet. This book can help you learn how to write and read in Farsi Language in a fast and fun way. You can quickly begin to read, pronounce and write in Farsi. The book proceeds step-by-step through all the letters of the Persian alphabet, displaying the sounds they stand for and how they are written in words. In addition to the alphabet, you’ll learn basic grammar, sentence structures, and pronunciation. 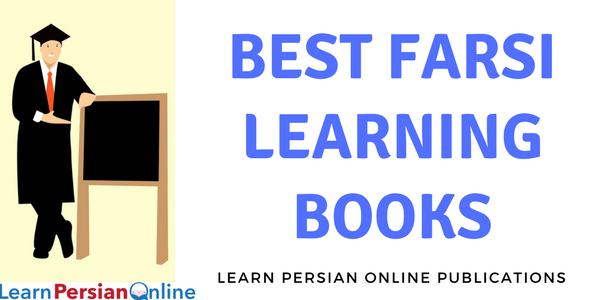 Beyond grammar and alphabet lessons, you will also find comprehensive listings of most common Persian words as well as useful tables that you can use as quick references to speed up your mastery of the language. This book my bestselling Farsi learning book. In this book (and its workbook) my colleague and I offered our winning formula and powerful method for learning to speak Farsi quickly. In a series of YouTube videos, I review all pages of this book. I strongly encourage you to watch the videos along with the book. These two user-friendly Farsi learning books include simple explanations of grammar and useful examples to help students of all ages improve their Farsi. For anyone who wants to understand the major rules and subtle guidelines of Farsi grammar and usage, Farsi Grammar in Use offers comprehensive, straightforward instruction. It covers a wide range of subjects as they are taught in many language schools around the world. Designed for people interested in learning standard Persian, this comprehensive dictionary of the Farsi – English languages contains more than 12,000 entries and definitions as well as pronunciation guides, word types, Current phrases, slangs, idioms, scientific terms and other features. The Dictionary is fully updated with the latest lexical content. It’s a unique database that offers the fullest, most accurate picture of the Farsi language today. Hundreds of new words cover technology, computing, ecology, and many other subjects. In this book, you will learn that it’s perfectly possible to reach a good conversational level without being able to read in Farsi. Many Farsi speakers use the Roman alphabet when writing in their dialect. This book uses the same method. You would technically be illiterate in Farsi, but you could learn to speak and listen. In this unique guide, you will be able to practice your spoken Farsi with FREE YouTube videos. It is an ideal tool for learners of Farsi at all levels, whether at school, in evening classes or at home, and is a ‘must have’ for business or leisure. Designed as a quick reference and study guide, this comprehensive phrasebook offers guidance for situations including traveling, accommodations, healthcare, emergencies and other common circumstances. A phonetic pronunciation accompanies each phrase and word. Designed for Farsi learners, this comprehensive and innovative dictionary of the Farsi-English languages makes Farsi language more accessible to students by removing the formidable barrier of the Farsi alphabet. Since it is alphabetized according to the transliterated English spelling, locating words is easy. Here are some of the most popular myths that you might create to justify your procrastination when it comes to learning Farsi language. I’m ‘too old’ to learn Farsi language. This is a universal language learning myth: it is much harder to learn a new language as an adult. While this myth is widely believed and many people think that it is easier for children to learn a new language, new researches proved that this is untrue. In fact, adults are better at self-directed learning than young people. This means that adults are better at teaching themselves and finding the best ways to learn Faster. Also, there isn’t any research that suggests there’s an age at which learning abilities disappear. So, it’s time to put this myth to rest and start learning Farsi! It’s never too late to learn Farsi! So many people use this excuse for not staring the process of learning Farsi. They usually say “Oh, I cannot learn it”, “It’s too difficult for me” or “I don’t have the language gene”. While some people learn Farsi faster, it is obviously not because of a “language gene”. Learning a language like Farsi is similar to any other skill: you only need to immerse yourself in it and practice enough. Anytime you begin learning a new skill it will be challenging, but with practice, it gets easier and easier. If you keep pushing through the barriers and disappointments you face along the way you’ll be rewarded with progress. If you’re thinking that you just don’t have the time for learning Farsi, maybe it’s just not a priority for you. Don’t use time limit as your excuse. Even as little as 20 minutes a day to start with can help you make progress in Farsi learning. Just begin with a good Farsi learning book and spend few minutes every day. You can also incorporate your Farsi language learning into another activity you usually do. For example, just listen to Farsi learning audios while driving or exercising. Learning Farsi language doesn’t have to be expensive. If you’re on a budget, there are plenty of free or low-cost options to choose from. You can find FREE Farsi learning material online, or just download a free Farsi learning app, or hire a Farsi tutor. Another idea is to look for a language exchange with others who want to learn your native language. Learning Farsi language can be affordable if you spend a little time researching your best options first. No matter what your excuse is, you alone have the power to break free from all your fears and doubts. Think about of all the positive things that will result from you learning Farsi. Think of all the people you will be able to meet and communicate with. Learning Farsi is a very gratifying process, but you won’t be able to experience it if you keep making excuses! Just remember that learning Farsi language is a lot of fun. With the new tools and online resources now available, there has never been a better time to learn Farsi language. Let’s move beyond the myths and start enjoying the benefits of being multilingual. How to overcome Farsi learning barriers and where do I start? Learning Farsi language can be daunting and confusing, especially if you decided to study on your own. Where to begin? What are the best Farsi learning materials? How to learn the alphabet? Or should I really learn it? Before taking a look at what you should do in the beginning of your Farsi learning journey, you need to think about your motivation for learning Farsi. If you just want to communicate with friends and family in Farsi, you need to choose a different approach than when you want to learn how to read Persian poems. If your ultimate goal is to be able to read Rumi, Hafez, and Saadi poems in Farsi, then you have to learn the alphabet. In Farsi, there is a difference between Formal language (written language) and informal language (spoke language). But, there is connection between these two. So, for travel purposes, learning a handful of Farsi characters can help you to read signs and menus in Farsi, but there is no reason to get too serious about writing if you only need Farsi for travel. To get you started with Farsi language, here are some steps that show how to learn by yourself. How to learn Farsi on your own? If you want to learn Farsi at advanced level, then you need to learn Farsi alphabet first. Otherwise, learning how to read and write in Farsi is not necessary in the beginning. Step 2: Figure Out Your Learning Style! Try some different types of Farsi learning resources. Watch some videos and review some textbooks to find your learning style. Learning Farsi effectively may depend on your specific learning style. Your learning style influences the way you learn vocabulary, grammar and speaking. Many Farsi learners use a combination of learning styles, whereas others learn best by using just one. Participating in a Farsi learning classroom with a teacher and other students is the most traditional approach to learning Farsi language. Many Farsi learners use this way, although not always with the best results. Many people who are motivated to become fluent in Farsi find Farsi classes helpful to get a chance to listen and speak. The problem with this method is that there aren’t Farsi classes everywhere and usually you need to travel. Normally, your choice of classes is significantly narrowed by location. If you live in small cities (or even in some big cities), it can be really challenging to find a Farsi class that matches your schedule. Learning one-on-one with a tutor can provide you with more opportunities to practice speaking and learn Faster. Compared to a classroom where the teacher has to split attention among several Farsi learners, private tutoring usually yields quicker results. However, private Farsi tutoring doesn’t come free and you’ll need to be prepared to pay an hourly rate for a Farsi tutor. The amount it costs to work with a Farsi tutor can be as cheap as $8 USD per hour to $50 per hour. For those who are on a budget or don’t want to spend money for Farsi learning, Multimedia courses are a good alternative – whether you can practice listening and speaking with CDs in the car, or use interactive courses on your home PC or tablet. Using mobile apps is another way for learning Farsi. Online learning has made massive progress in the last few years and has become a viable alternative to more traditional forms of instruction. There are many free and paid online Farsi learning course. Now that you have practical material to get you started on your Farsi language journey, it’s time to make a schedule for it. Learning Farsi language, like learning any other new languages, isn’t just about preparing the right materials such as textbooks, dictionaries, and apps, it’s also about making a long-term commitment. To learn Farsi effectively, you must spend some time everyday reading, writing, speaking, and listening and watching Farsi learning videos. I’m often asked if Farsi learners can just skip the boring beginning part and learn the most common and useful phrases to begin speaking. Well, if you just want to grab some basic greetings phrases to warm up the meeting with Farsi speakers, then yes, you can easily learn some greetings phrases and sentences. However, these basic phrases won’t take you far. 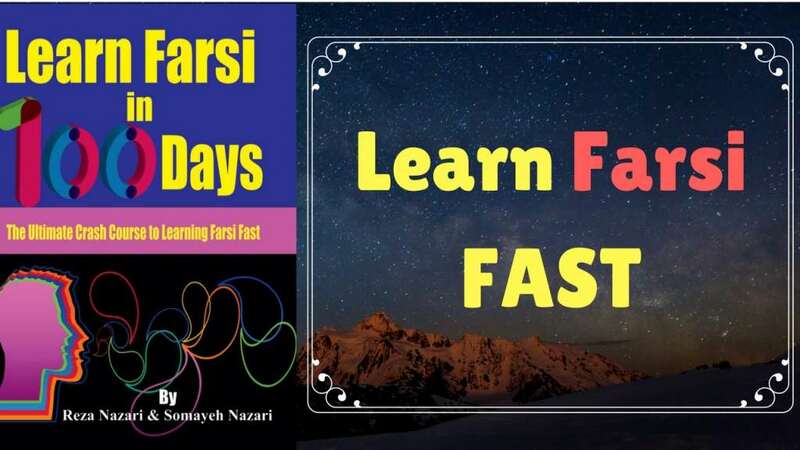 If you are a serious Farsi learner who wants to learn Farsi effectively, then, a solid foundation of the Farsi language is a “must” to help you make progress faster and make your Farsi learning easier. In short, a good beginning is half the battle. Step 7: Have fun learning Farsi! The things we do best in life are the things we really enjoy doing. If you aren’t having fun learning Farsi, then, obviously you’re not studying the right way! You can be a serious Farsi learner who has a lot of fun at the same time. Make up your own program to help you stay on track. This is perhaps the most crucial step to learn Farsi effectively: don’t be afraid to take risks and make mistakes. Learning Farsi language can be challenging even with the best materials and schedule. Always try your best, but also be open to the idea that you’re going to make a lot of mistakes—especially when you try to open up conversations with native Farsi speakers. However, never let your fear and anxiety stop you from learning this beautiful language. MR.REZA SAAHIB I AM VERY PLEASED TO FIND YOUR WORTHY PERSON – A MUALIM WHO HAS DEVOTED HIS PRECIOUS TIME AND ENERGY TOWARDS THE FULFILMENT OF A SPECIAL RATHER PARTICULAR CAUSE THAT ALLAH MUST HAVE CREATED YOU FOR. (JUMLA PAIGAMBARAN ELAIHEMUSALAAM) INCLUDING THE LAST AND FINAL PROPHET MUHAMMAD-E-ARABE (SEW) ARE BEING ADDRESSED BY ALLAH (JS) AS «MUALIMS». SO MY DEAR RESPECTED TEACHER YOU ARE PERFORMING A JOB WHICH IS SACRED IN ITS NATURE AND PIOUS WITH PROPERTY. MAY ALLAH BLESS YOU WITH SAFETY, SUCCESS AND SATISFACTION. Spam,I studied the above chaper/page in which you have written that Farsi language is mostly related or near to Hindi , Urdu and Arabic and those who have good command on these languages, can learn it easily but here I want to mention something that Balochi language that’s mostly spoken in eastern Pakistan , Iran and Agfhanustan, has mostly related words and grammar .so,In a nut shell, i want say that Balochi language should be added in the above chapter as being related to Farsi language .